In addition to being the home of Spike’s Trophies, Philadelphia has been the birthplace of a number of notable athletes. Maybe it’s the attitude of the city, maybe it’s the large number of gyms and recreation centers in the area, maybe it’s something in the water, whatever the reason, some of the world’s most impressive athletes hail from the same city that we’ve been making crystal awards in for over 85 years. Kobe Bean Bryant was born in Philadelphia in August of 1978. Kobe’s father, Joe Bryant was an NBA player at the time of Kobe’s birth but by 1984, his career brought him to an Italian basketball team. Kobe spent several years in Italy, learning to speak the language fluently and even becoming a young phenom in the sport of soccer. By 1991, Kobe was back in the states and began playing basketball at Lower Merion High School where he became the first freshman in more than two decades to play on the varsity team. Bryant immediately established himself as a prospect for the NBA, being named the Pennsylvania Player of The Year in his junior season. Despite major attention from D1 colleges in his senior year, Kobe Bryant became the first player at the guard position to ever be drafted out of high school in 1996. Selected 13th overall by the Charlotte Hornets, Kobe was immediately traded to the team he would spend all 20 years of his career with, The Los Angeles Lakers. Benched in the first games of the 1996-1997 season, Kobe would become the youngest NBA starter on record and won the 1997 Slam Dunk Contest as a rookie. Bryant was a fan-favorite before his first season was even over. Suffering two bitter western conference losses in his first two years in the NBA, The Lakers doubled down on Kobe, extending his contract and shedding their other two star shooting guards (Eddie Jones and Nick Van Exel). 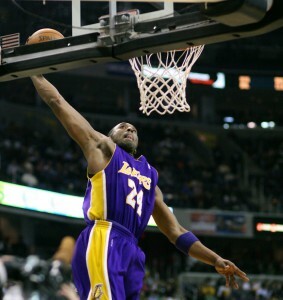 Kobe Bryant and The Lakers won three consecutive NBA Championships in 2000, 2001 and 2002. In the seasons that followed, Bryant would set a number of records including the second most points ever scored in a game (first place is still held by Wilt Chamberlain) and most three-pointers scored in a game (a record broken this season by Stephen Curry). 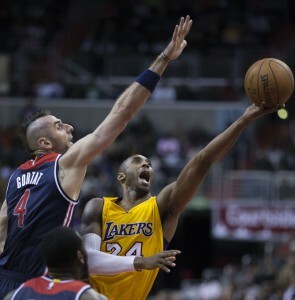 Kobe went on to win two more NBA championships, winning five championship trophies in total. Kobe remained a fierce competitor up until his final game, never losing his status as a starting player when healthy. During the last three years of his career (2013-2016), Bryant was plagued by injuries, finally deciding to retire in his twentieth season. Kobe carved out his place among the elite basketball players of all time, often being mentioned in the same breath as names like Olajuwon, Jordan, Chamberlain and Abdul-Jabbar. As one of Philadelphia and the NBA’s greats, his legacy will endure for quite some time. This entry was posted in Uncategorized on January 22, 2017 by Spike's Trophies. One of the most prestigious award ceremonies for television and movies will be taking place on January 8, 2017. 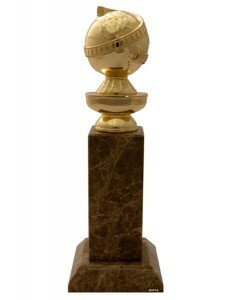 The upcoming 74th Annual Golden Globe Awards is meant to honor the best in film and American television in 2016. Some of the categories include Best Motion Picture, Best Performance in a Motion Picture, Best Supporting Performance, Best Director, Best Screenplay, Best Original Score, Best Series, Best Performance in a Series, and much more. We think you get the idea. Here at Spike’s Trophies, we’re one of the top makers of custom plaques and trophies in Pennsylvania and New Jersey. One of our favorite parts of the Golden Globe Awards is when each of the selected winners receives their own brilliant statuette. Not only do these awards look beautiful, but they also represent a special time in that person’s or team of people’s lives. We believe that this moment captures the reason why trophies exist in the first place – to recognize a special achievement or commemorate a special event. The award typically costs about $800 to manufacture. On average, a win is worth about $14 million for a movie because of the boost in revenues. The prize is a 24-karat-gold-plated statuette resting atop a marble pedestal. The design is a globe wrapped in a film strip, which was decided back in 1945. It’s 10.75 inches tall and weighs 5.5 pounds. If you’ve been inspired by the Golden Globe Awards, we can help you customize your own awards and prizes here at Spike’s Trophies. We’ll make anything from acrylic awards to crystal awards as well as medals, pins, promotional products, and more. Whether you’d like to thank a friend or family member for their love and support or motivate your associates and employees, you can count on us! To learn more about making trophies and awards inspired by the Golden Globes, contact us at 855-652-4030 or go to http://www.gospikes.com/. This entry was posted in Uncategorized on January 6, 2017 by Spike's Trophies.